SHORTCODES ARE INTEGRATED INTO DEFAULT EDITOR! You don’t need to remember all these shortcodes anymore! 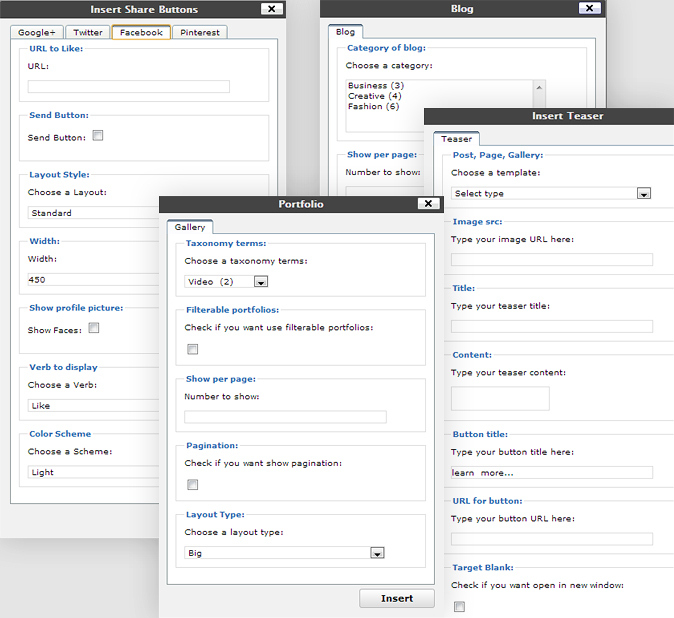 Any of them can be added ans set up from the default editor with just a few clicks. that are intuitively clear and simple to set up.